Naadan Chicken Fry | Simple and Delicious ! Mix chicken with powders, garlic ginger paste and salt. Add few curry leaves with the chicken. Turn when one side is done. Take when all the sides are done. Hi Seena,a warm welcome to you!You already have blogged so many recipes,do blog more would love to learn from you! 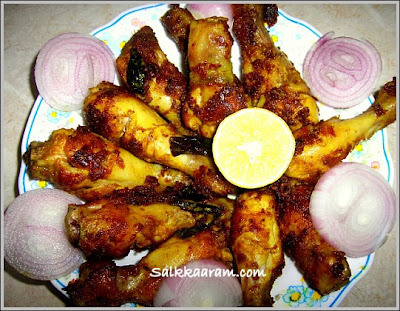 Thanks Sumitha for nice words..
We had a luxurious meal with this chicken fry. Its very good Seena..
Me a college goer..An all tym lover of cooking...Tnks to u for u hv done something great..Keep going.. It was so awesome!! man.. after trying so much recipes... it was so yummy... =) thank you so much! !